This freeware works both ways: it converts XPS files to PDF and PDF to XPS files. It also converts both single files or entire folders with XPS or PDF files. 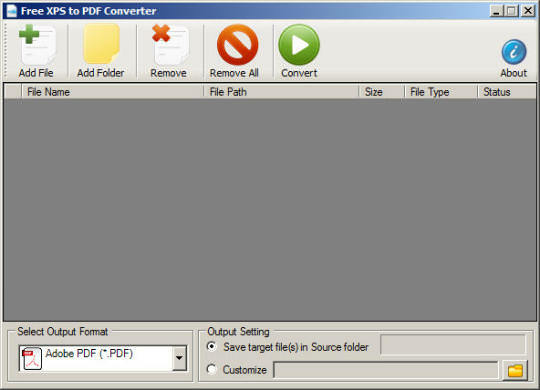 If you need more information please contact the developers of Free XPS To PDF Converter (Freedom Software Company), or check out their product website.